Several flights have been cancelled and schedules of departures and arrivals disrupted as Kenya Airways pilots stage a go-slow. 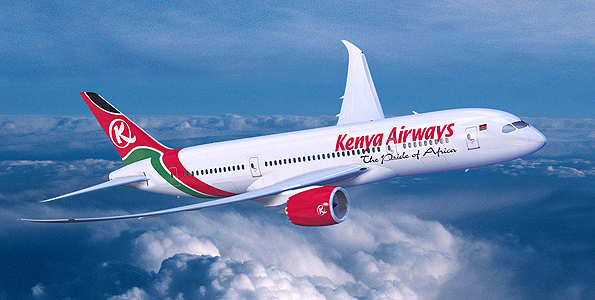 The airline's pilots have withdrawn their goodwill with the management of Kenya Airways. “Kenya Airways will continue to operate its flights and we are doing its best to ensure a smooth provision of service. We are very mindful of the travel conveniences of our customers and we apologise for any delays,” a statement from Kenya Airways said. The statement explained how Kenya Airways has traditionally negotiated an agreement with Kenya Airlines Pilot Association (KALPA) that requires its members to be voluntarily available to work for certain hours during off time, which is known as goodwill, but within legal limits approved by the Kenya Civil Aviation Authority (KCAA). The pilots withdrew their goodwill over on-going Collective Bargain Agreement (CBA) negotiations between the union and the management, the statement added.